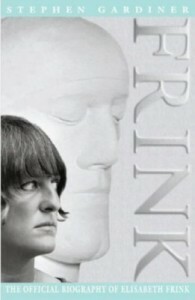 Elisabeth Frink was born in 1930 in Suffolk and became one of Britain’s most eminent sculptors. Frink attended Guildford School of Art, followed by Chelsea School of Art and showed her first major exhibition at the Beaux Arts Gallery in London, when she was only twenty-two. Throughout her lifetime she was known as one of the most accomplished sculptors of animal and human forms: men, dogs, horses and birds were a constant subject-matter throughout her career. Her graphic work and drawings followed the same themes, being executed with the simplicity and feeling for surface texture that is to be found in her sculptural work.